For hobby foundry, a hobby metal professional can find the metals from waste metal products available in his home, workshop or a nearby machine shop. It could be anything, such as an old metal ware, port or container, a part or component any old machinery or vehicle. You can also find a variety of necessary tools and supplies in your kitchen, workshop, or if you life fancy – you can find it from an art and craft supply store. While selecting metals for use in your home foundry, avoid small, thin pieces of aluminum, such as cans, foil, small sheet metal leftovers, and chips from your lathe or drill. These kind of materials, which have a small volume to surface area ratio, have a proportionally high loss to oxidation. In other words, the resultant melt will have a high content of dross. Opt for chunky stuff. In the case, you are using thin metallic materials, compress them as much as possible, then submerge them in a melt, which is already liquid. Remember that good metal results in good castings. Quality and clean chunks of an old lawnmower engine or aircraft aluminum will result in much superior castings than molten blobs of empty beer cans. On the other hand, brass scrap give pretty satisfactory performance, irrespective of its source. However, avoid using thin pieces of brass scrap, which are nickel plated. This is due to the fact that nickel melts at a much higher temperature than the brass and hence will result in a completely unsatisfactory melt that will be mostly dross and yuk. 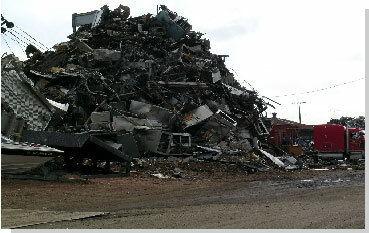 The best to help yourself for sourcing metal is to strike a deal with a local machine shop to drag their scrap. You can find chunks of metal at garage sales and flea markets, which can be acquired at a much lesser price than the value of their scrap metal, such as vacuum cleaners, old lawn mower engines, auto parts, boxes of old pipe fittings and lawn sprinklers. However, due to the increasing popularity of recycling materials, people these days are now becoming more and more sensitive to the value of their metal. Of course, you can always find a local local scrap metal yard from where you can source an infinite variety of fodder for your crucible. Question & Answers Can soda and / or beer cans can be used as an aluminum source? Yes, soda / beer cans can be used as an aluminum source, however there is a trick to use them successfully. As the cans are very thin, they easily burn and oxidize instead of melting. Due to this reason, many people do not use cans. However, if you already have a good amount of molten aluminum in the crucible then the cans can be efficiently melted by crushing them and dropping them into the crucible. If the dry cans are pressed below the surface of molten aluminum, they will melt easily and are less likely to oxidize. The resulting aluminum will be almost pure. The metal will generally shrink more when cast, but it is very shiny that makes it good for producing small decorative castings. What are some good sources for scrap aluminum? Potentially any aluminum object can be used as a source. The most adept alloys for casting machine components are old aluminum machine parts. Some examples can be - transmission cases, car cylinder heads, water pump pistons and housings. This is a strong alloy that generally does not shrink much. Some more common sources are frames of lawn chairs, beverage cans, storm door and window frames, disposable turkey and pie pans, foil, etc. The second type of aluminum sources are referred as extruded aluminum (as opposed to cast aluminum) because of the way the products are produced. It is more of a pure aluminum, hence they are shiner when cast that makes them good for decorative castings. This type of aluminum sources are weaker and due to this the castings generally shrink more while cooling. Machining properties are sometimes not as good either.